In 2011, 23 million people tuned into Kate Middleton and Prince William's wedding, and this past May, seven million more gathered in front of their televisions for Meghan Markle and Prince Harry's nuptials. Suffice to say, there's a fascination with the royal family, presumably with their fairytale-like regality and—call it shallow—their appearance. Kate and Meghan prompt pieces of clothing to sell out faster than most celebrities, and the disclosure of their favorite beauty products and routines likely ignites the same flash of credit cards. Both women bring to life the princesses we'd read about in storybooks or role-played as children, so to be able to emulate their style is adult dress-up, so to speak. "To get your blowout as bouncy as Kate’s, start in the shower by using a volumizing shampoo and conditioner," says Brager. 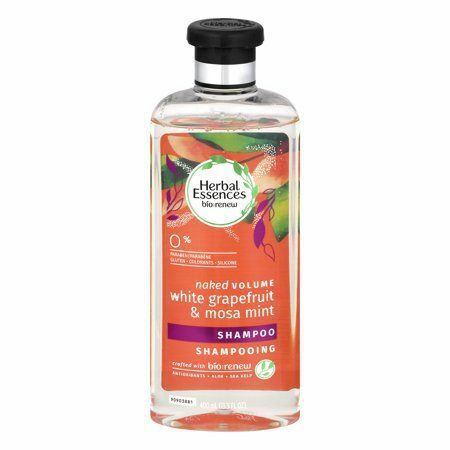 "My go-to is Herbal Essences White Grapefruit and Mosa Mint Volumizing Shampoo and Conditioner. This shampoo and conditioner not only nourishes your hair from within using Herbal Essences Bio: Renew technology; it cleanses and allows you to achieve max body for a princess-worthy blowout that lasts! Not to mention the real botanicals in the shampoo and conditioner are endorsed by the Kew Royal Botanic Gardens!" After you've cleansed your hair, Brager says to work in a dime-size amount of styling cream from mid-shaft to ends to smooth your strands for shine and protect against frizz. Next, finger-comb a golf ball–size amount of mousse from roots to ends. "This is where you get all that volume and bounce," Brager explains. Using a one-and-a-half-inch boar bristle round brush and a T3 blow-dryer, take one- to two-inch sections of hair and begin a proper blowout. 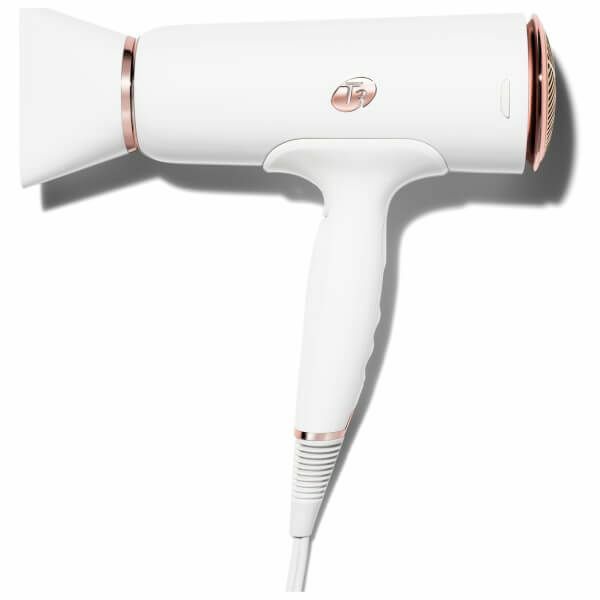 Brager says to dry the hair completely and recommends using the cool-shot function on your blow-dryer before setting your hair in duckbill clips, which will help your blowout last for days. Let your hair cool for 10 to 15 minutes, remove the clips, and curl sections using a one-and-a-half-inch curling iron. The way in which you wrap the hair is crucial, though. Instead of starting at the top or middle of the section like you would for a more modern, beachy wave, you'll want to start at the ends and wrap the hair up. (Brager says this is how Kate gets her ends so perfectly curled under.) Finally, create your middle part and brush hair from roots to ends for softness and shine. Finish off with a quick spritz of Herbal Essences Airspray, and you're set for the day. "I'm going to go ahead and bet that our lady Kate opts for a perfect ponytail on second-day hair," says Brager. "Thanks to Herbal Essences Bio: Renew Volume Dry Shampoo, you can re-create this look with ease. 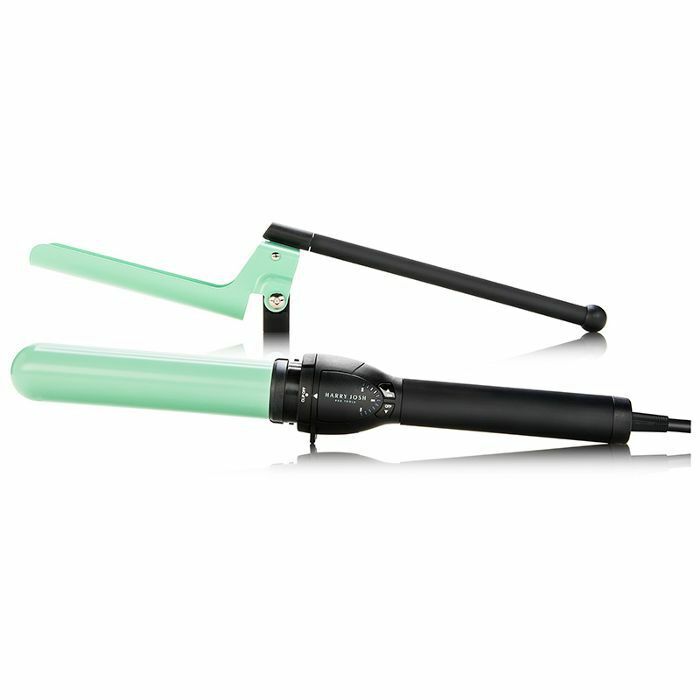 First, touch up your second-day blowout with a one-and-a-half-inch T3 curling iron. Don't forget: The secret to Kate’s perfectly defined ponytail curl is starting to curl hair ends to root and holding the iron in place for a quick few seconds and releasing. Don't brush the curl out too much. That could take away the definition." She then says to section off the hair and spray the dry shampoo onto the roots, massaging the scalp to enhance volume and further rid the hair of any excess oil. Next, create your part and use a boar bristle brush to tease the hair at the crown of your head for a bit of height "and to keep your style soft, like Kate's." Then, lightly brush the hair and gather the lengths about one inch from the nape of the neck. 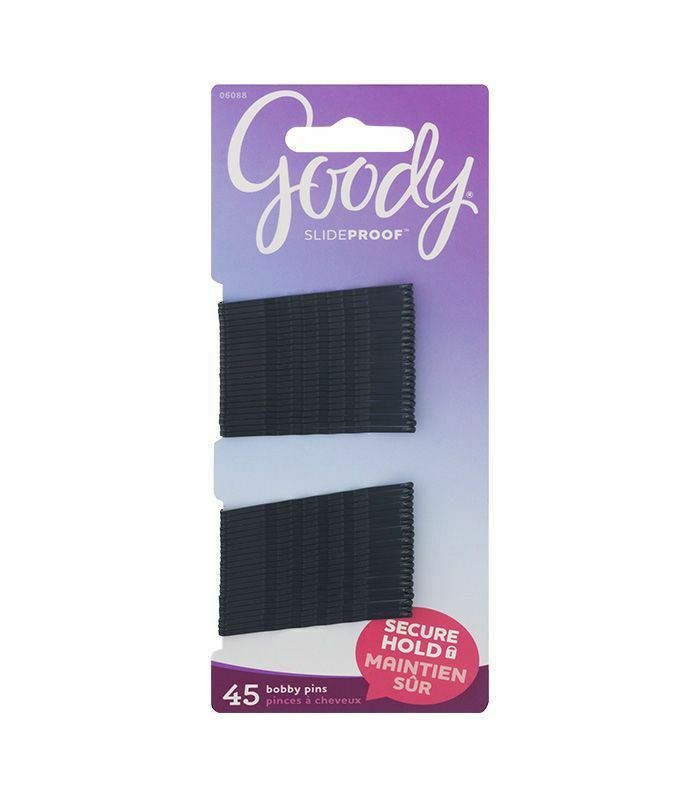 Secure with a clear hair elastic. Now for the duchess details: "The reason Kate's ponytail looks so beautiful, in my opinion, is the detail of covering the band. It's so easy but makes quite the statement. Here's what you do: Take a quarter inch of hair from the lengths of your ponytail and wrap the small section of hair around the base and secure it with two Goody bobby pins. Lastly, spray the hair that covers the band with hair spray for extra hold." Voilà. "To create this look, wash your hair with Herbal Essences Argan Oil of Morocco Shampoo and Conditioner, which is vitamin-packed with Bio: Renew technology and real botanicals endorsed by Kew," says Brager. "The argan oil adds moisture and shine for the perfect old Hollywood waves." What's really important about this look is part placement. Using a comb, draw a line from the top of the arch of your eyebrow back to your crown. This is usually a really flattering angle and part for this style." Once your part is set, use a quarter-size amount of styling gel and rake through damp hair roots to ends. Because Markle's look is a sleek take on Old Hollywood waves, Brager recommends using a flat brush to blow hair straight and smooth. Once hair is dry, use a Harry Josh Pro Tools one-inch curling iron and separate a one-inch section of hair, clipping the rest away. Spray the section of the hair you're working on with hair spray, hold the iron vertically, and begin wrapping the hair around the iron rod (toward the face), starting near the root and tilting the barrel tip down a bit. Brager says it's crucial that you wrap every section in the same direction to get that classic Old Hollywood uniform set of waves. For a modern take, tug on each section you curl to lengthen the curl as seen on Meghan before it cools completely. Once you're done curling, lightly spray a boar bristle brush with hair spray and gently brush the waves into place. To smooth flyaways, spray a new toothbrush with hair spray and brush or smooth down the edges for a polished finish. Start by brushing hair with a boar bristle brush, working from roots to ends. "Using a boar bristle flat brush helps to evenly distribute natural oils which then coats the hair, making the hair healthier," explains Brager. "It also wakes up the scalp and can help promote hair growth." 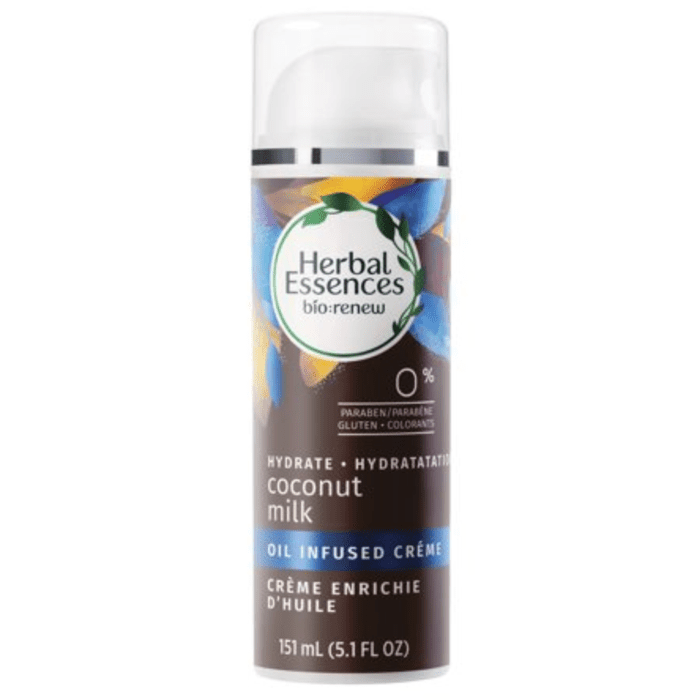 Next, on dry hair, apply a nickel-size amount of Herbal Essences Coconut Milk-Infused Crème Emulsify between hands and smooth over hair from roots to ends. Then, gather hair into a low ponytail at the nape of the neck and secure with a hooked elastic to ensure the hair stays super tight. Then, separate the ponytail into two sections, clipping one out of the way. Take your first section and begin to twist and coil it around the base of the ponytail. Once it's all the way around, secure with one bobby pin on top, one on the bottom. Take the second section and repeat, securing the chignon with bobby pins on either side (using more if you need to). Smooth flyaways with a toothbrush and hair spray and spray along the rest of the style as needed for extra hold. For Markle's toussled, voluminous waves, start by washing your hair with a hydrating shampoo and conditioner and, after squeezing out excess water, work a curl-defining mousse through wet strands. Rough dry with a blow-dryer until about 70% dry, and then use a round brush to blow out the rest of the hair and encourage texture. "To create your waves, make a middle part. Then, separate hair into four quadrants," says Brager. "Leave your front right and left sides down to start. Begin by taking your one-and-a-quarter-inch curling iron and about a one-inch section of hair. Hold the iron vertically and open the clamp and set your section into the iron starting at the mid-lengths of the hair. Then, curl your hair up to about one inch away from scalp (leaving the ends out). Next, gently click the iron open and closed while turning the iron to allow the hair to wrap up and curl until you reach the ends. Once done, tug on the ends a bit to loosen the waves further." Brager says to ensure the front pieces are curling away from the face, but the rest of the sections should alternate directions. Once all of the hair is curled, take a pea-size amount of styling cream, rub between your hands, and then rake the product through the lengths of the hair and scrunch upward. Finish with hair spray, and you're set!